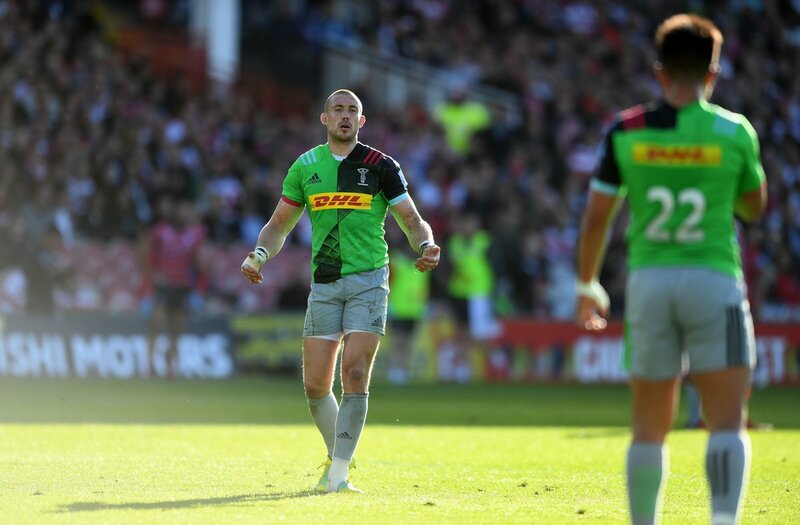 The Harlequins supporters go wild as Marcus Smith successfully kicks the penalty goal. 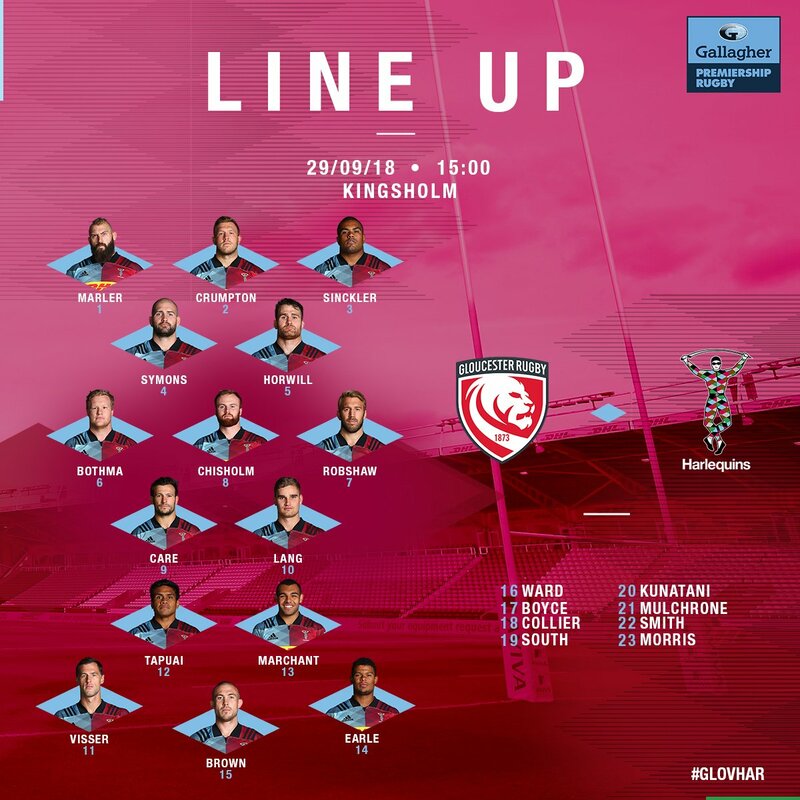 Harlequins decide to make a substitution, with Max Crumpton being replaced. A gap opened in the defence and Marcus Smith took full advantage. Harlequins have won 100 rucks so far this game. Marcus Smith was unlucky to have missed the penalty after the ball hit the right post. Chris Robshaw has made 20 good tackles so far this game. Spellbinding play by Tom Hudson is finished off with a try. 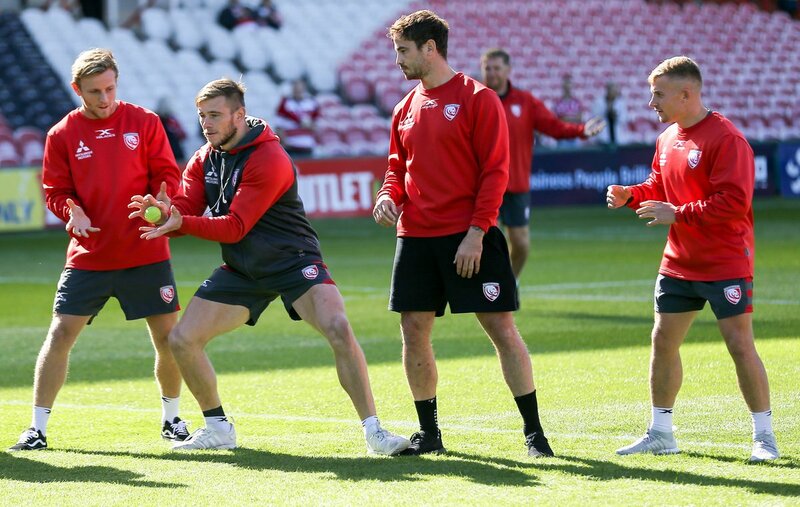 Silky skills by Gloucester ends with a try for Charlie Sharples. Gloucester sub Mark Atkinson comes onto the field. Henry Trinder departs for Gloucester. Harlequins have won 80 rucks so far this game. Harlequins decide to make a substitution, with Stan South getting some game time. 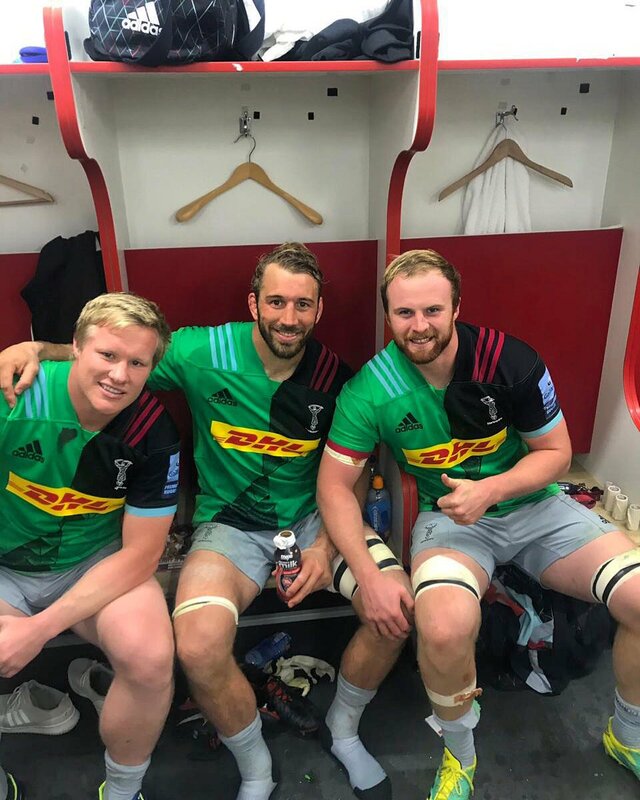 Harlequins decide to make a substitution, with James Horwill being replaced. What a tackle there by Gerbrandt Grobler as he saves a certain try!. What a run here by Tim Visser as they gets over the gainline!. Harlequins make a substitution with Semi Kunatani coming on. Harlequins make a substitution with Renaldo Bothma coming off. 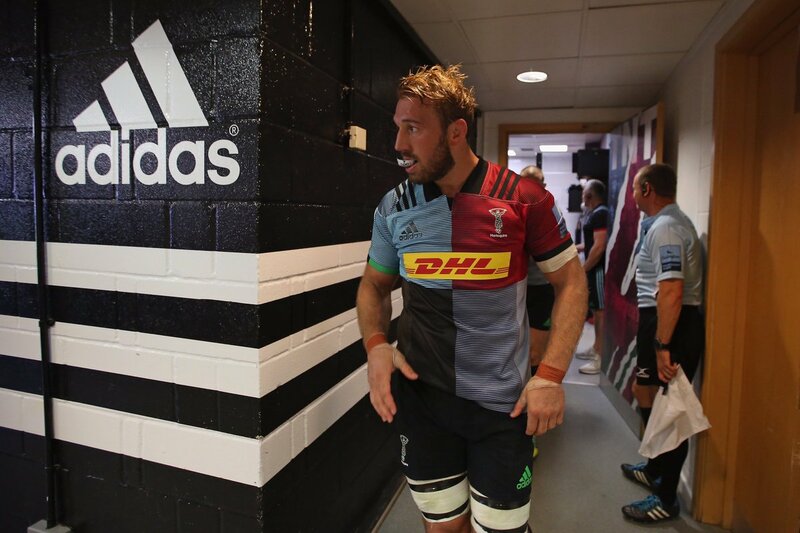 Harlequins sub Marcus Smith comes onto the field. James Lang departs for Harlequins. 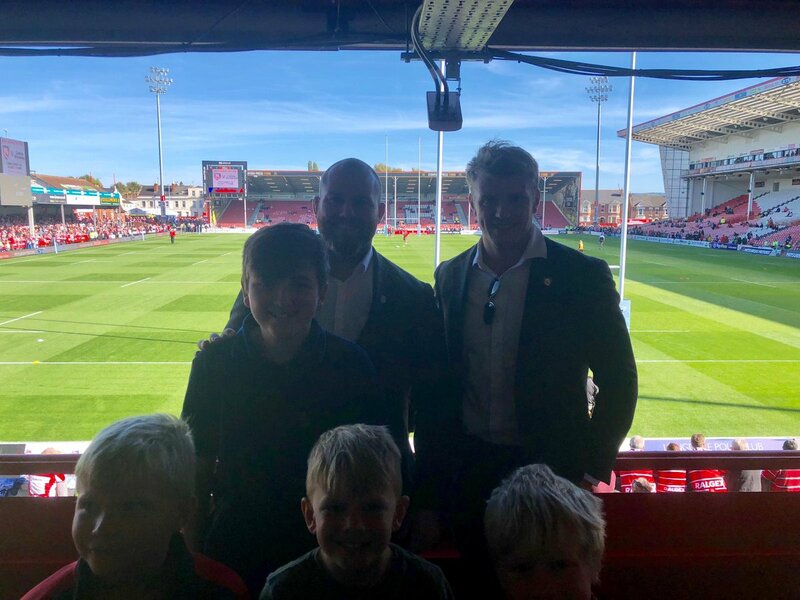 Billy Twelvetrees comes on for Gloucester. Mark Atkinson leaves the field. James Lang does the business as his penalty goal attempt goes over. James Horwill has made 10 good tackles so far this game. James Lang makes no mistake with that penalty goal attempt. 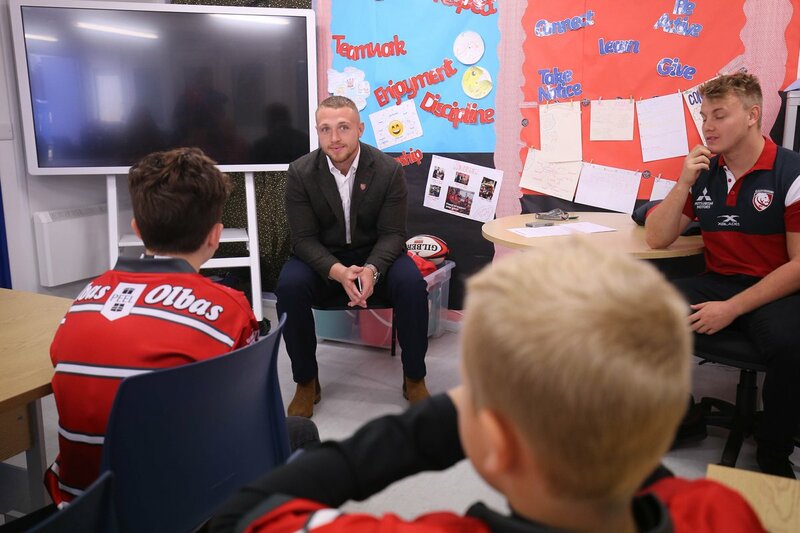 Ben Vellacott played a key part in that try. 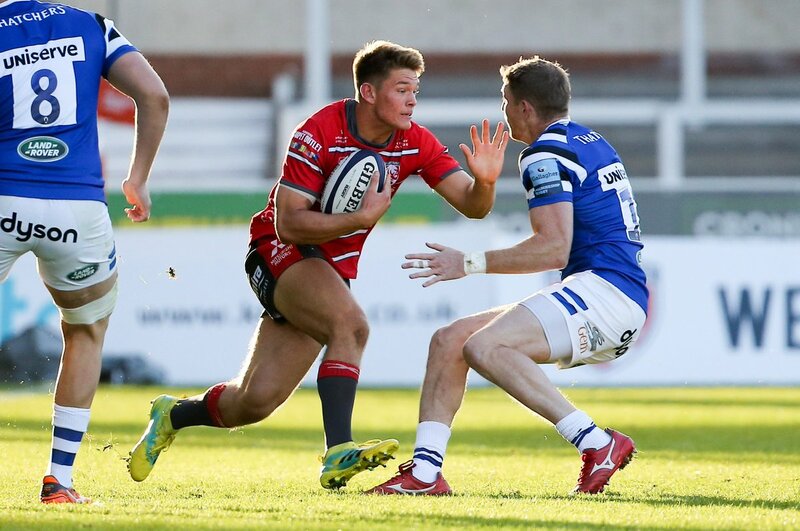 Fabulous play by Gloucester has led to Ed Slater being able to wriggle through a gap. Renaldo Bothma has made 10 good tackles so far this game. Matt Symons (Harlequins) is shown a yellow card. James Lang steps up to take the penalty but pulls it wide and to the left. James Lang has kicked a conversion. That's a great try assist by Joe Marchant. 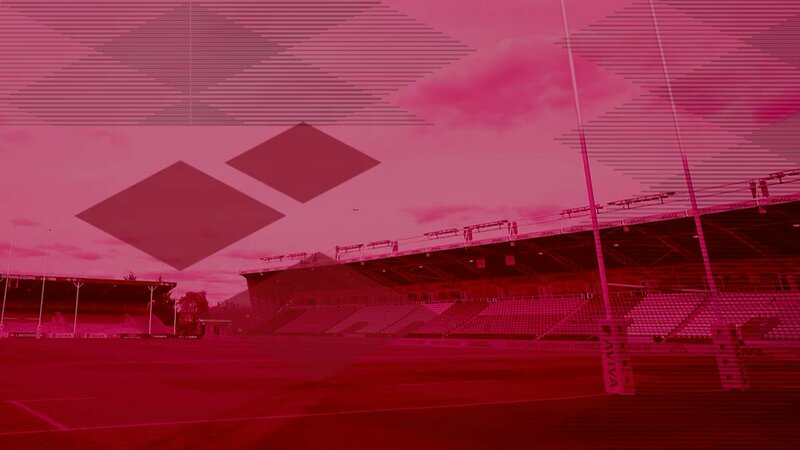 A series of passes by Harlequins results in a try for Nathan Earle. Trouble here as Joe Marchant breaches the defence. This is dangerous for the defence as Tim Visser bursts through to advance the Harlequins attack. James Lang curls the ball too far, missing the posts to the left. Nathan Earle intercepts the pass to race ahead and score the try for Harlequins. A gap opened in the defence and Nathan Earle took full advantage. Danny Cipriani has hooked the conversion to the left of the posts. The defensive line has been broken as Jake Polledri goes through the gap. Jake Polledri sets up the try. 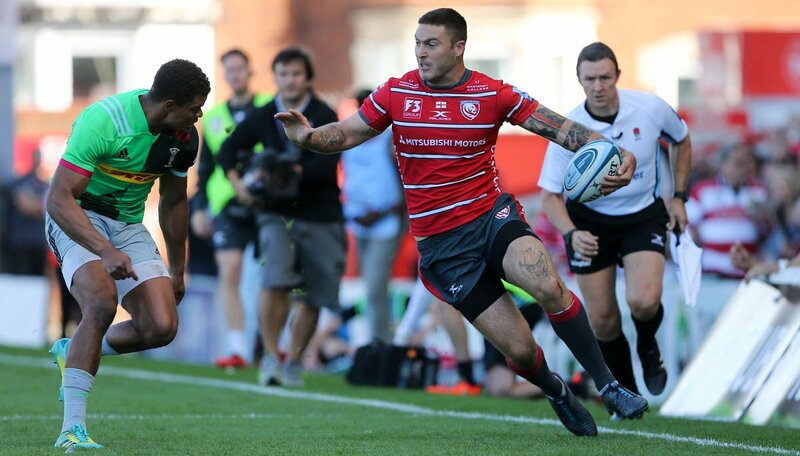 Great hands by Gloucester leads to a try for Danny Cipriani. 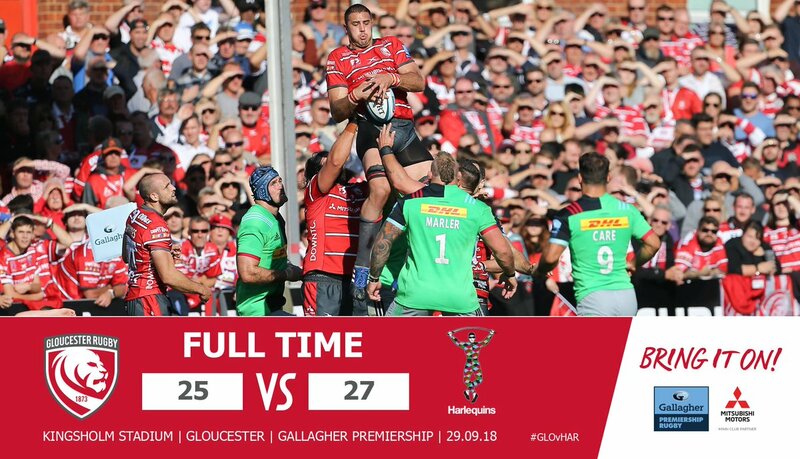 👏 Thank you to all the Harlequins supporters who made it to Kingsholm...what a day! 77 - Penalty from Partington is good. 🗣 "We're a tough team to put away and if we keep fighting then we'll get our reward." 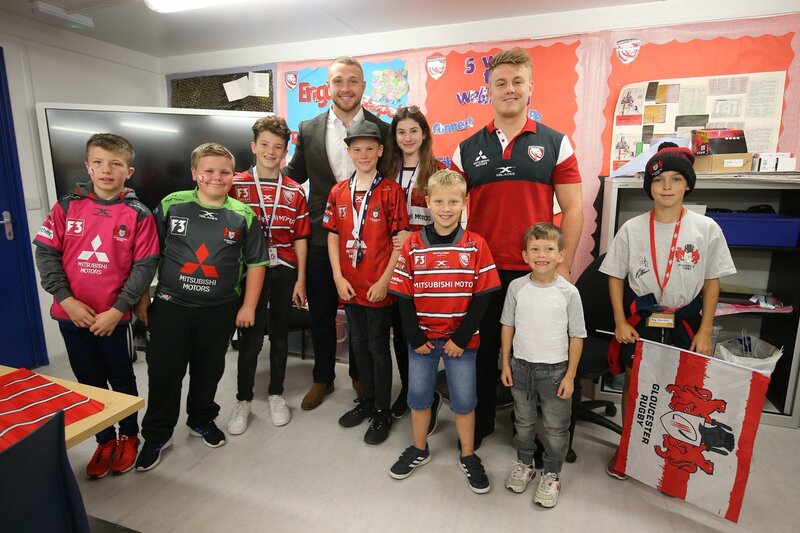 @bradlane13 Thanks Brad - keep with us! 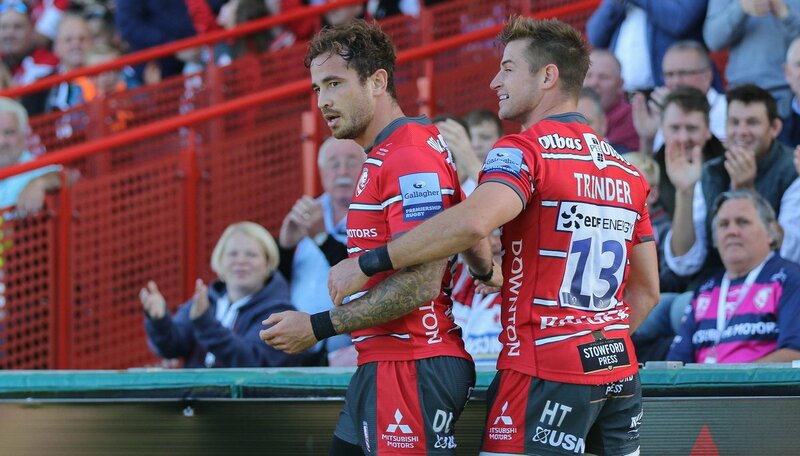 @DannyCipriani87 dots down for his first try in Gloucester Rugby colours. 📸 Nice to meet you too!